It's a question worth reflecting on this week, as we celebrate World Elephant Day on Aug. 12. For people who love elephants, or care deeply about all animals, banning all ivory sales is an easy choice. There's no reason why 35,000 elephants should be dying every year to feed the unnecessary, bloody ivory trade. Elephants deserve to live in safety and peace in the wild. But let's remember that saving elephants doesn't just help elephants, either. Our species, our countries, our people and our planet are better off in a world where elephants still thrive. The more we shout out that message, the more and more people will listen. 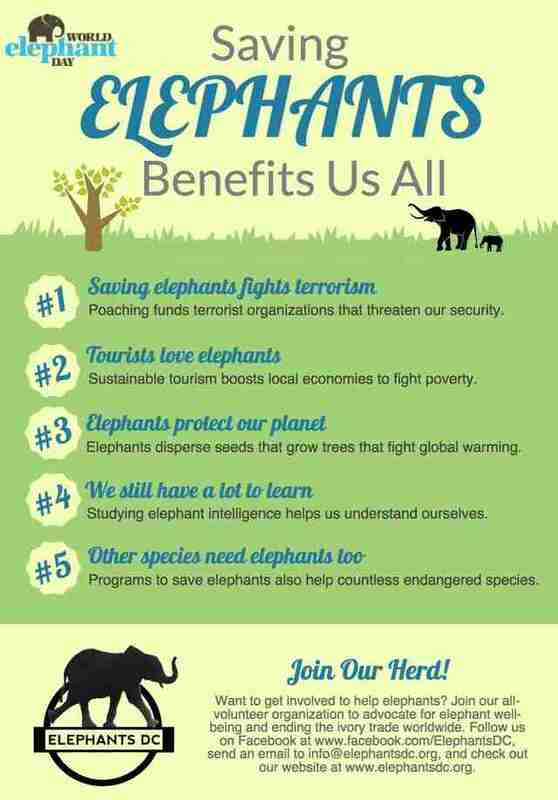 In honor of World Elephant Day, check out our infographic below for five reasons why saving elephants benefits us all. Then, pledge to never buy ivory, and support efforts to ban ivory sales in your state and country. 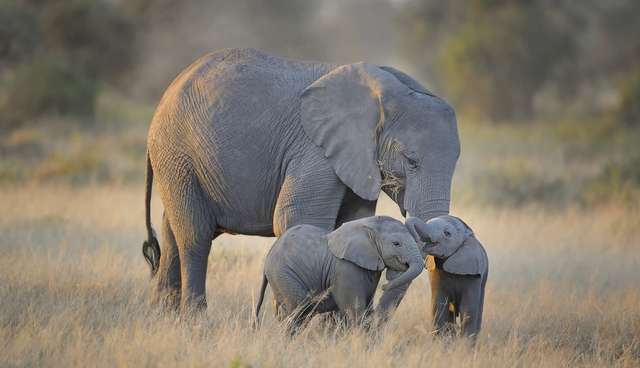 Make a difference for the elephants - and for all of us! PS - And if you're in the Washington, DC, area, stop by our World Elephant Day happy hour on Aug. 12 to celebrate with us, too!